The US has got them, will the UK miss out? Replacing their bestselling 5040UB projector, Epson introduces the 5050UB 4K HDR home cinema projector, together with a wireless version, the 5050UBe, to the US market. Both projectors are powered by Epson’s 4K PRO-UHD resolution enhancement technology and feature true 3-Chip, 3LCD design for enhanced colour and brightness and which the company claim will display images free from the rainbow effect or white segments. A Pixel-Shift Processor controls the three individual high definition LCD chips and doubles the Full HD resolution by moving each pixel diagonally. These latest models fully support 4K HDR content at a full 60Hz via HDMI 2.0 inputs running at 18Ghz and each is rated at 2,600 lumens of colour and white brightness, and has a dynamic contrast ratio up to 1,000,000:1. They feature HDR10 capabilities and Epson's UltraBlack technology and support a wide colour gamut by displaying the entire DCI-P3 colour space. 3D playback is available for home cinema fans with a library of 3D films and there’s now also support for Hybrid Log Gamma, which is the HDR format used in broadcasting, so users will be able to view HDR content on Netflix or YouTube. Additionally, tone mapping can now be adjusted on these Epson projectors, with a series of 16 settings, which can either lighten or dim the mid and lower midranges. Both the 5050UB and 5050UBe use Epson's proprietary 15-element glass projection lens with its 2.1:1 zoom ratio and all features are motorized. The provided Lens Memory presets can be used to store changes of up to ±96% on the vertical axis or ±47% on the horizontal axis, along with zoom and focus, thus improving installation options. For extremely accurate colour reproduction, the new projectors feature low Delta E and include a CalMAN pattern generator calibration tool. 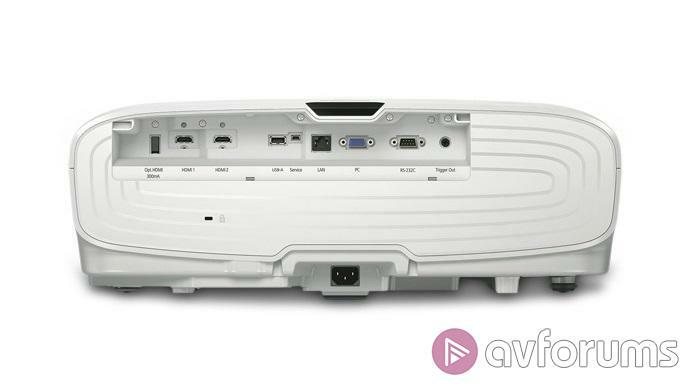 The Home Cinema 5050UBe model includes an additional Epson WirelessHD transmitter complete with four HMDI inputs, allowing users to wirelessly transmit 4K content up to 30 fps. "The new Epson Home Cinema 5050UB and 5050UBe projectors are worthy successors to our highly-acclaimed Home Cinema 5040UB and 5040UBe," said Rodrigo Catalan, senior product manager, Projectors, Epson America. "By retaining the outstanding black performance from the previous generation and adding our latest 4K PRO-UHD resolution enhancement technology, we've raised the bar again with the new Home Cinema solutions to deliver top contenders for the best DIY home theatre projectors available today."